Orange flowers hold a hint of a summer sunset in each bloom - that's a bit of magic, all year long. 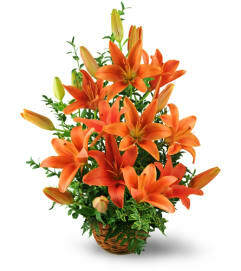 Bold orange bouquets from Sonia's Florist make a spirited, vibrant gift to send your best wishes for any special occasion. 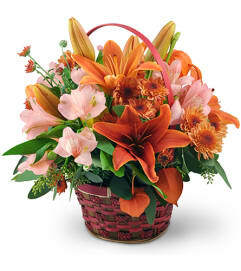 Sonia's Florist is a Lovingly Florist in Mineola. Buying local matters. Discover how Lovingly supports local florists. Copyrighted images herein are used with permission by Sonia's Florist.